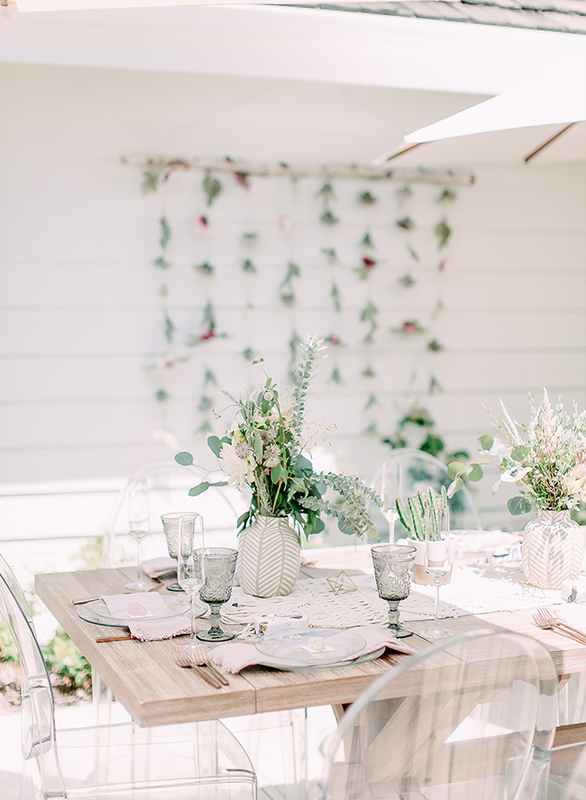 Organic elements and a soft color palette come together beautifully in this natural rosy bridal shower on our wedding blog today. 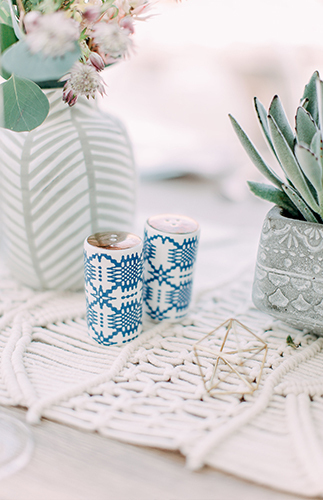 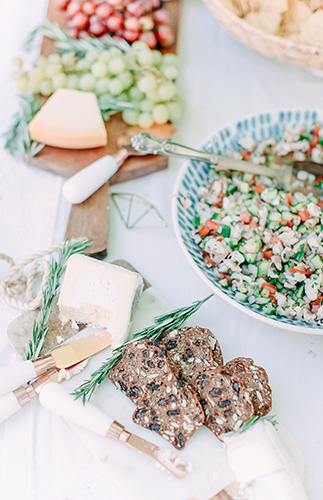 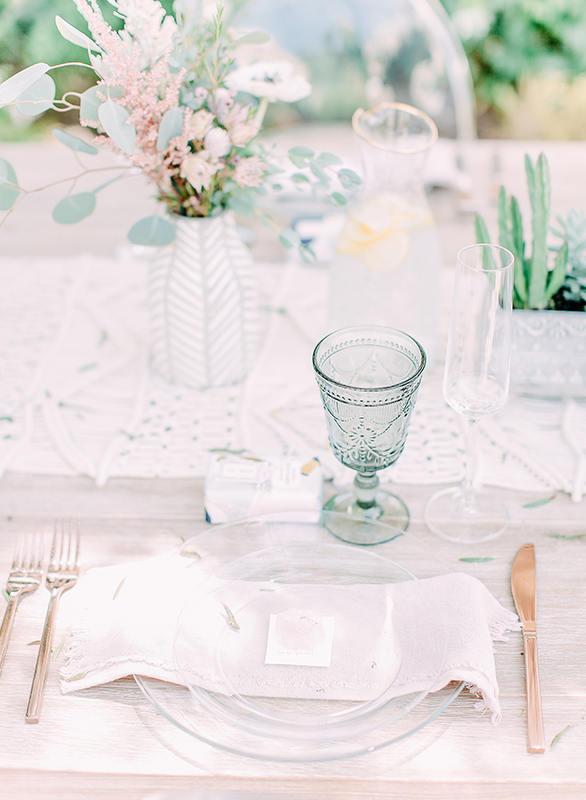 The theme feels refined yet bohemian – and we love it! 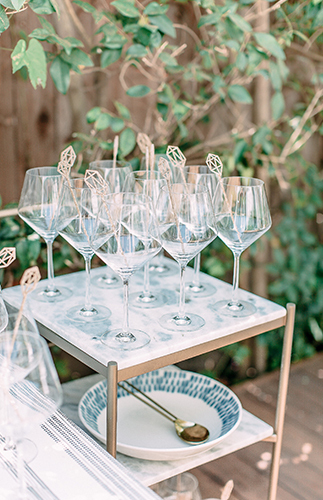 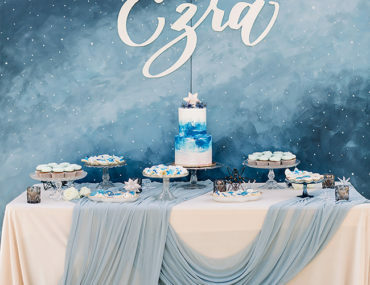 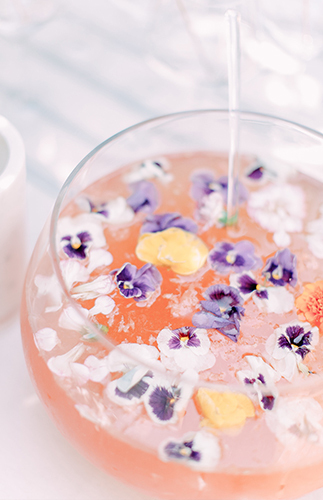 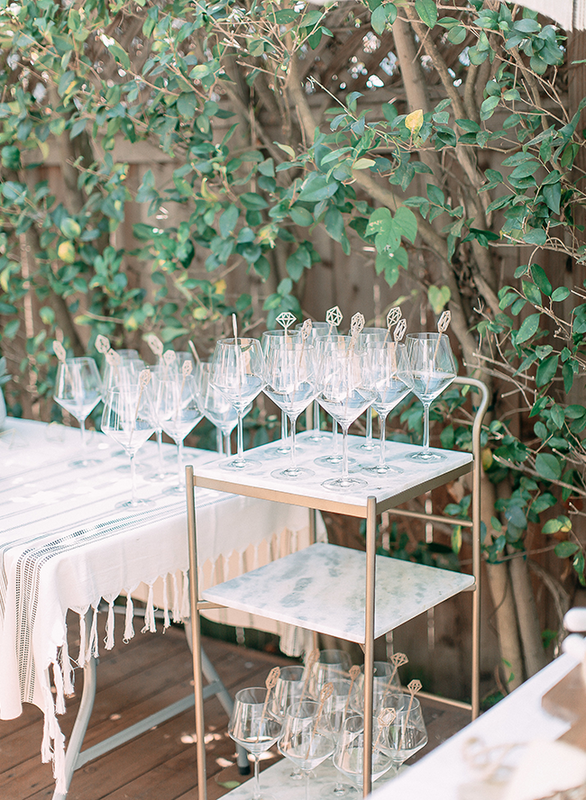 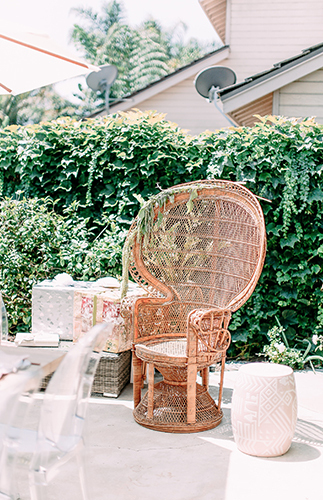 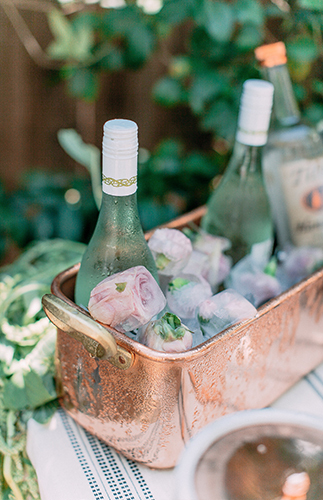 From gemstone cocktail stirrers to a peacock chair for the bride and vintage table decor, there are plenty of fun and pretty details. 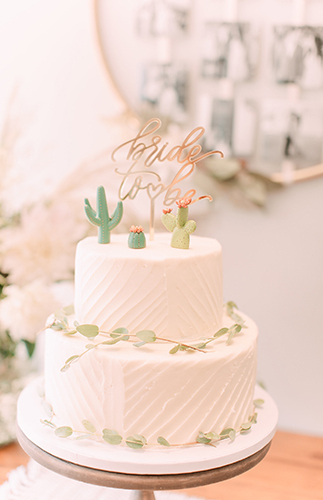 The bridal soiree ended on a sweet note with a cake topped with cacti and pink macarons – yum! 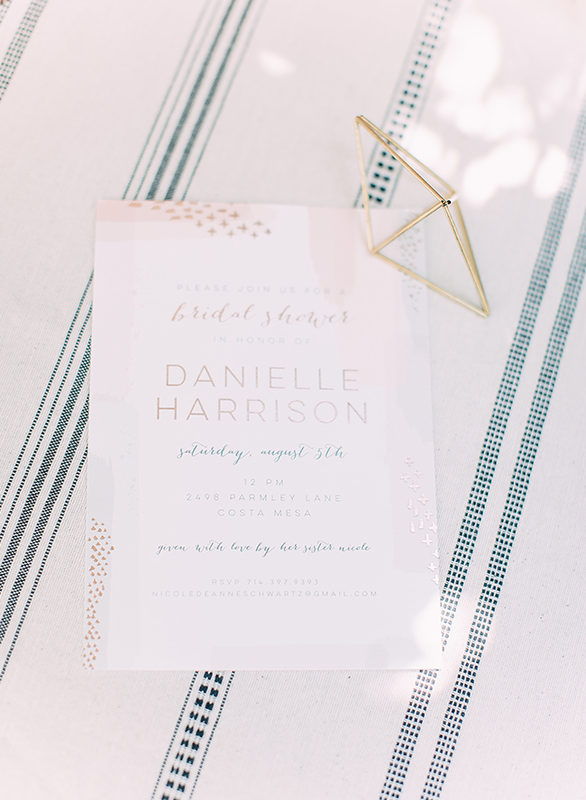 Here’s what the bride has to say (or rave) about it…. 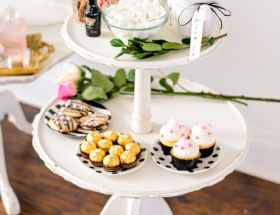 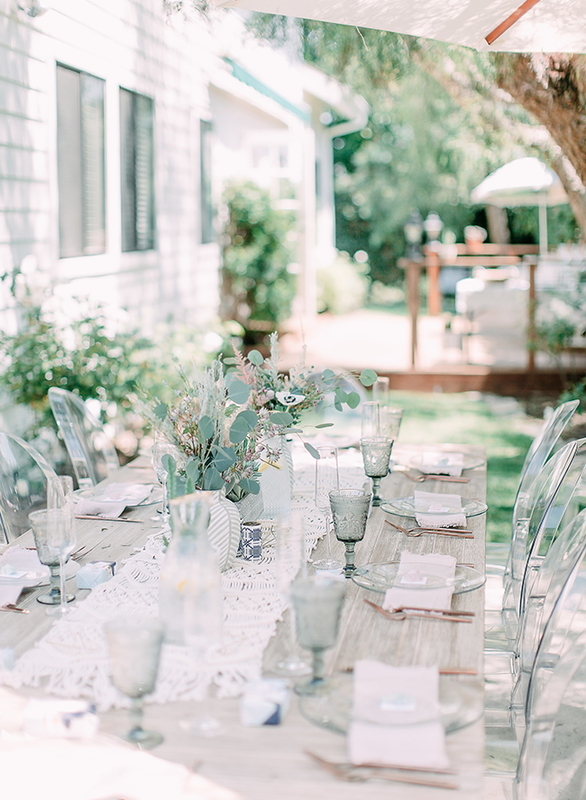 My sister Nicole has the vision for this stunning bridal shower. 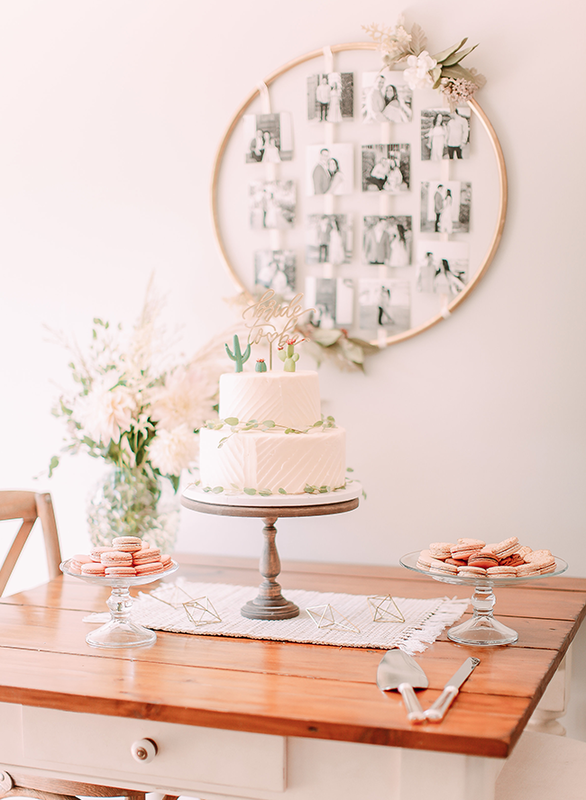 She has a background in fashion and design, which helped her perfect each detail of the day from the photo ring and table decor to the hanging flowers. 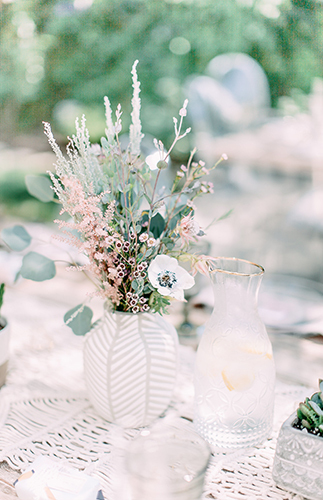 She even went to the flower mart with my mom and arranged all of the blooms in Anthropologie vases. 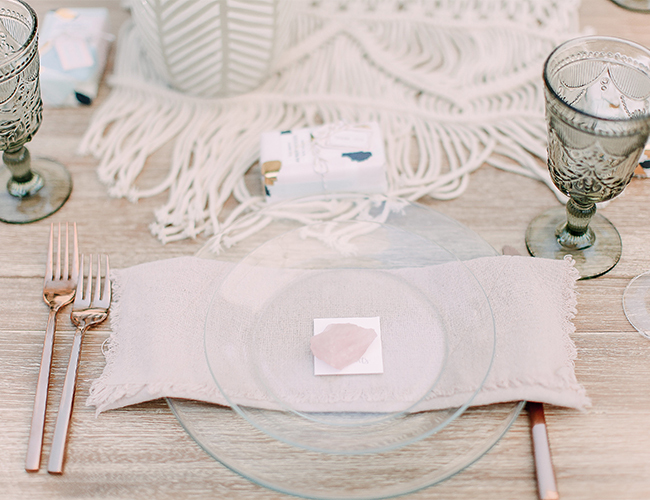 They also adorned the tables with macrame, soft florals, and rose quartz gemstones. 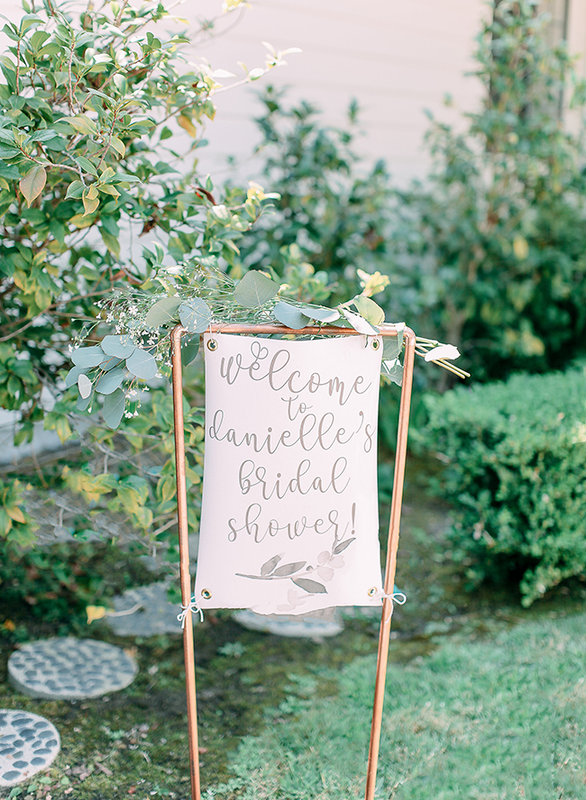 And my dad even made the welcome sign. 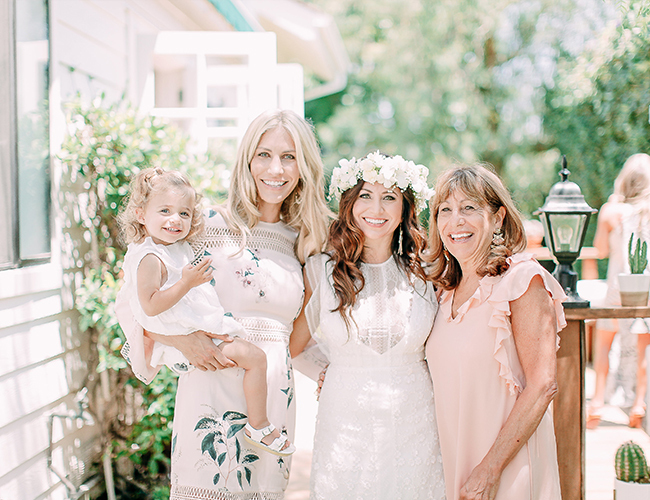 Needless to say, so much love from my family went into every detail. 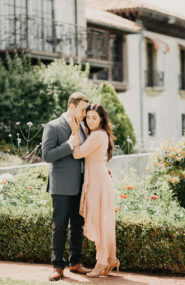 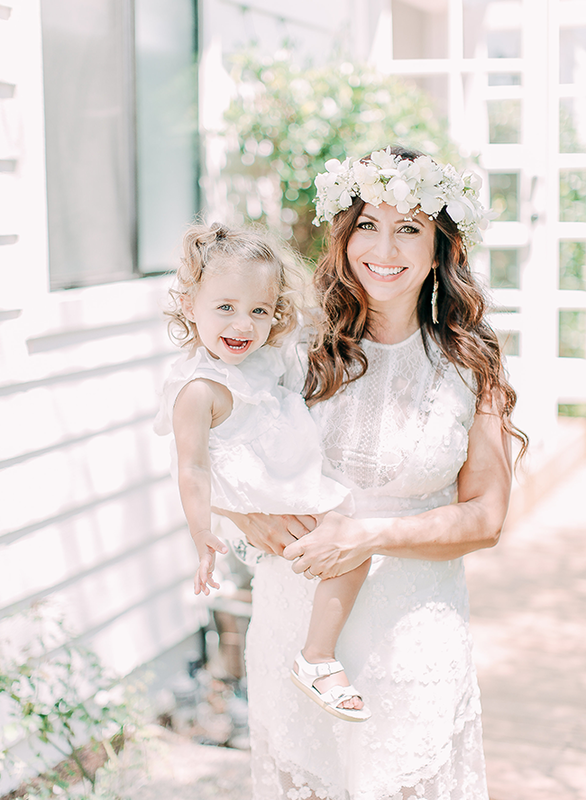 Now for the beautiful images from Cori Kleckner Photography! 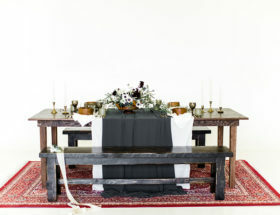 See more of her work here! 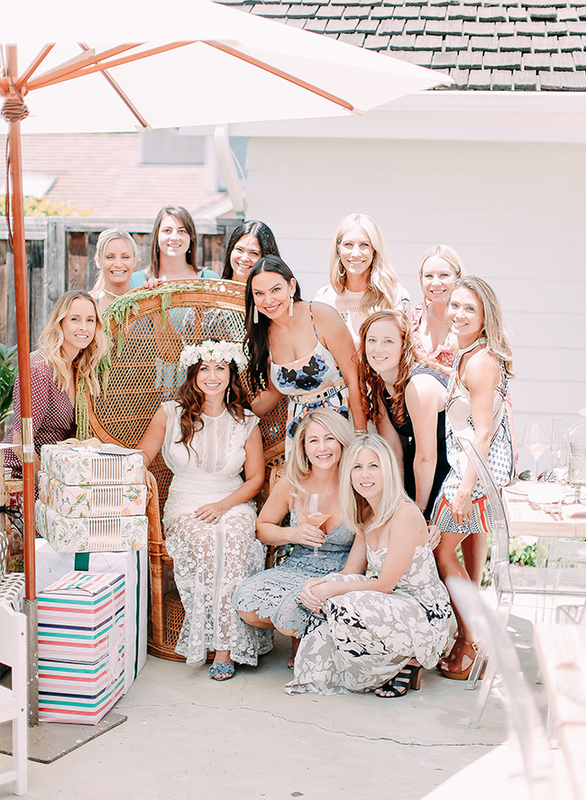 How beautiful is the bride to-be?! 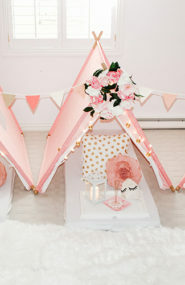 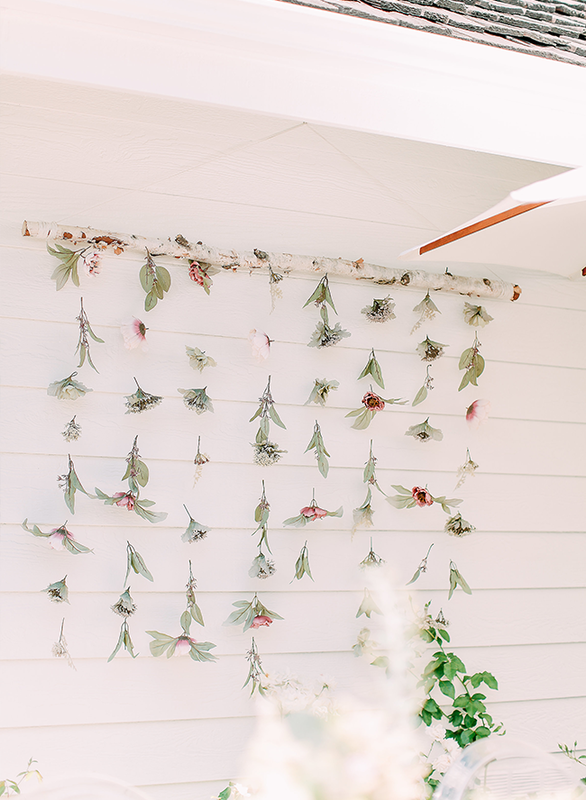 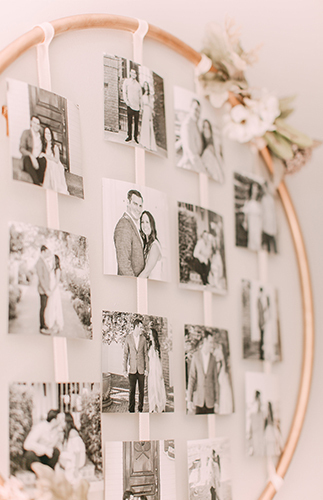 This DIY floral hanging is the perfect backdrop for photos! 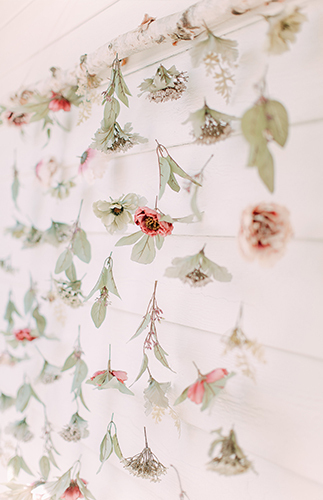 I love the flower wall! 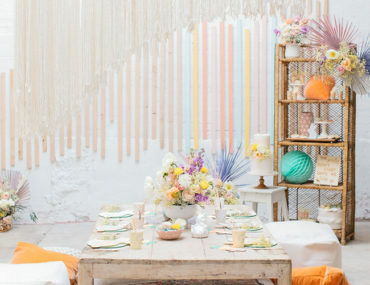 The soft color palette is gorgeous!